Arbonne is a 39+ year old company that delivers botanically based personal care products and nutrition to your doorstep. The products are pure, safe and beneficial. All products are Vegan & cruelty free. 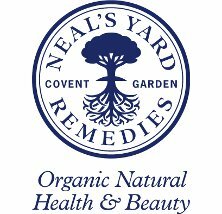 NYR Organic is the social selling channel of Neal’s Yard Remedies, the UK’s foremost destination for ethicl, organic natural health and beauty. Changing The Future Outcome is a company that specialises in a range of top quality, organically grown, CBD Hemp oil products.